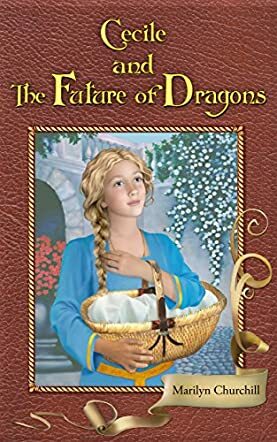 Cecile and The Future of Dragons: Mystic Heroine Adventures by Marilyn Churchill is a fascinating tale filled with fantasy and adventure that will take readers on an enchanting journey of whimsy, wizards, new lands, a world of dragons and much more. Sixteen-year-old Princess Cecile is also known as 'Protector of Magical Creatures.' She finds a pair of dragon eggs, and ends up getting caught between two wizards in a life and death battle over their future. Written for a seven to twelve-year-old audience, Cecile and The Future of Dragons will enthrall readers with adventure and enchantment. A perfect story book for children, the plot will leave them spellbound. With all the twists and turns, the story is fast paced. The illustrations are beautiful black and white sketches, and they make the scenes more effective and real. Readers can connect well with the characters. The narration is detailed and descriptive and there is never a dull moment in the story. All the characters are well developed and they complement each other and the plot superbly. The plot is easy to follow, despite being intriguing, and it is a must-read for those who love dragons and dragon tales. It is also a good addition to one's personal collection of dragon stories.